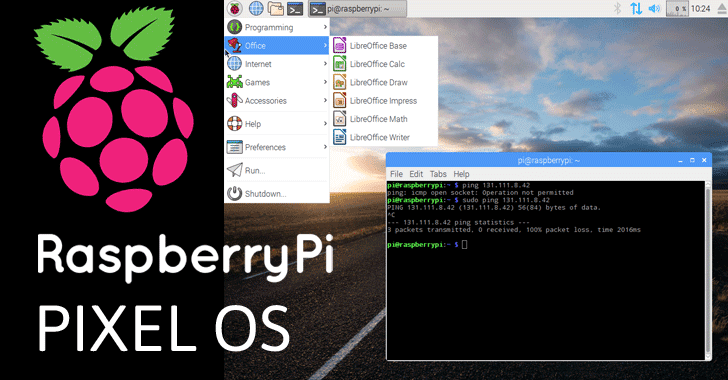 Initially launched in September this year, the PIXEL operating system, stands for "Pi Improved Xwindows Environment, Lightweight," was originally designed to work with Raspberry Pi to turn it into a fully-functional PC. However, Raspberry Pi has now released a version of PIXEL that comes preloaded with a variety of popular tools and can be installed directly on PCs and Mac computers, so you do not have to buy a Raspberry Pi to use PIXEL anymore. "There is a massive installed base of PC and Mac hardware out there, which can run x86 Debian just fine. Could we do something for the owners of those machines?" Raspberry Pi founder Eben Upton said in a blog post. "So, after three months of hard work…, we have a Christmas treat for you: an experimental version of Debian+PIXEL for x86 platforms." The new release will help school students who can now use their PCs or Macs for building their projects based on $35 Raspberry Pi, without any need to tweak "schoolwork to run on two subtly different operating systems." Upton warned that the Pi edition of PIXEL was still "experimental" so might have some vulnerabilities or other "minor issues," meaning it might not run well on some desktop computers. You can download a disc image here, and installation guide can be found on Raspberry Pi’s blog.